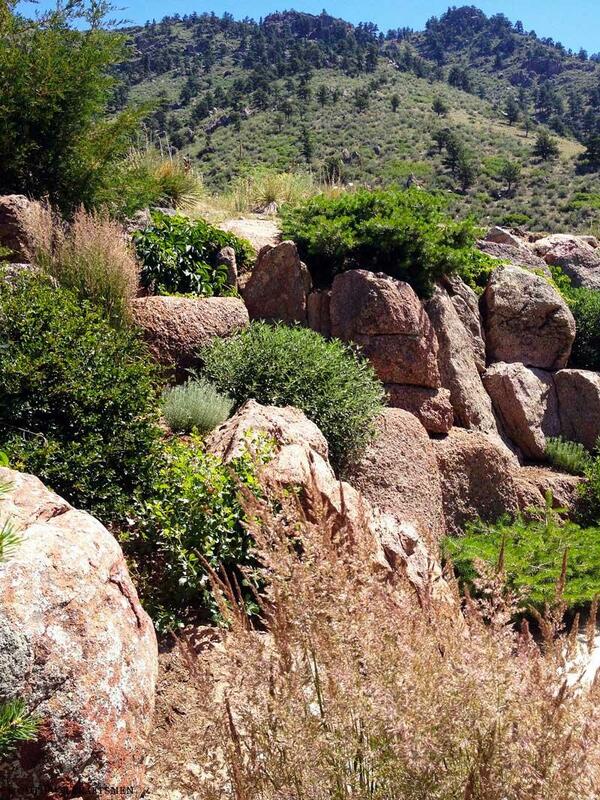 Perched high on a remote mountainside this privet foothills oasis absorbs flora back into nature almost effortlessly. 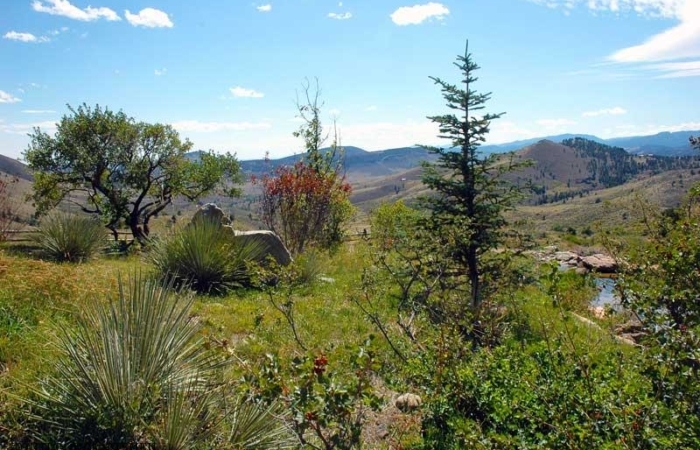 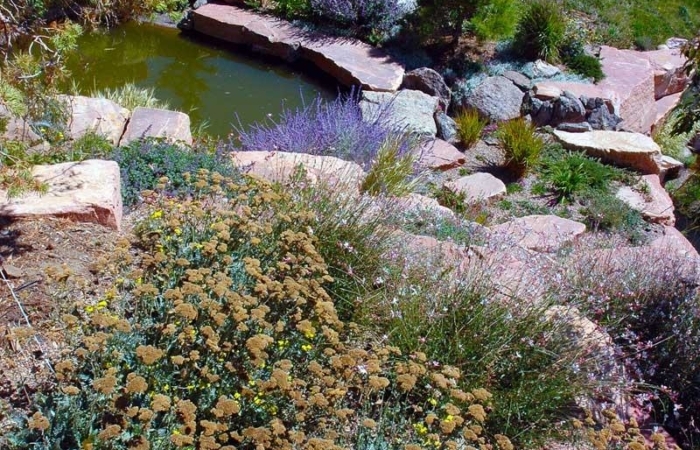 Natural spring water from the mountain brings life to this arid environment as its waters are carefully distributed, providing life's sustenance to the home, livestock, and plantings. 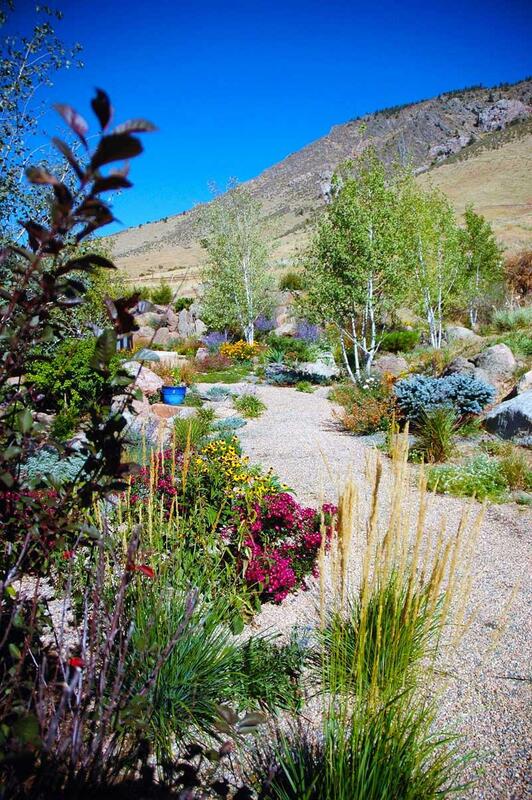 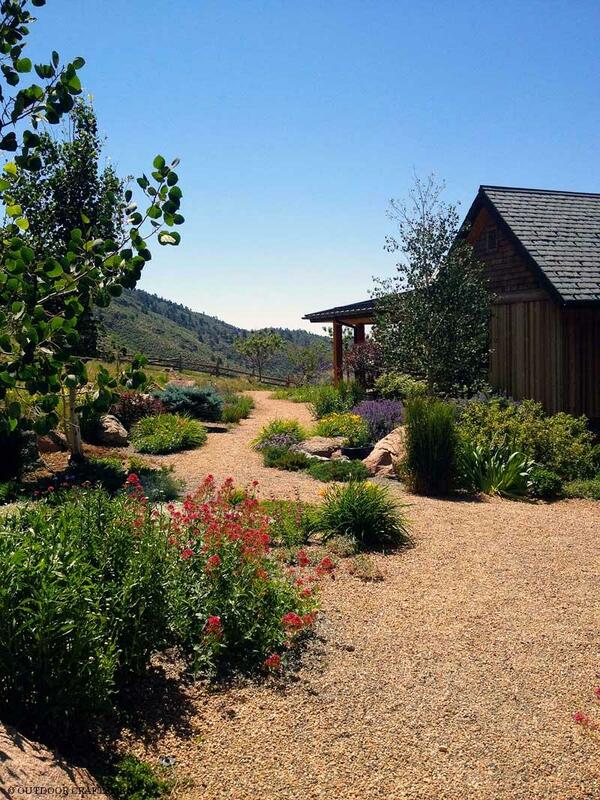 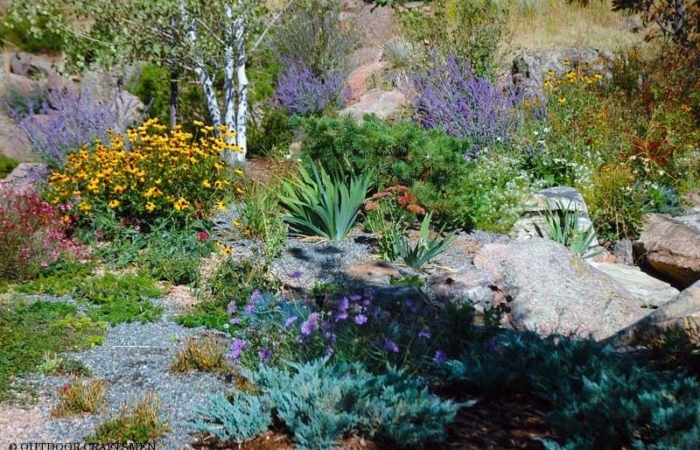 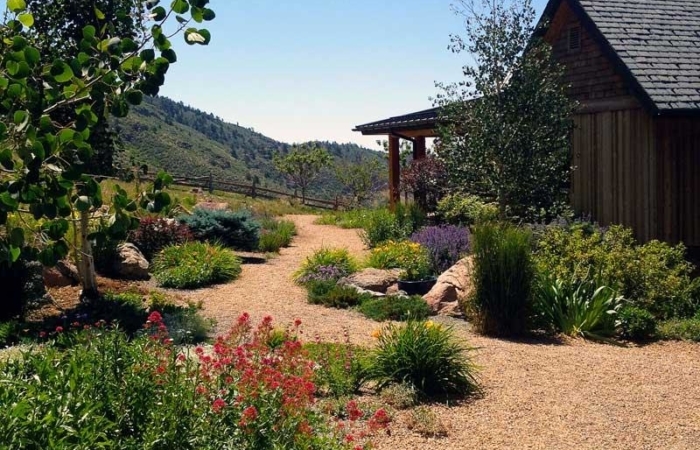 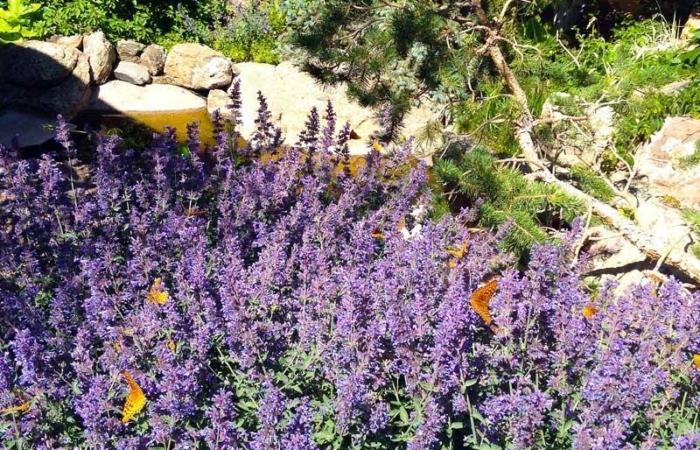 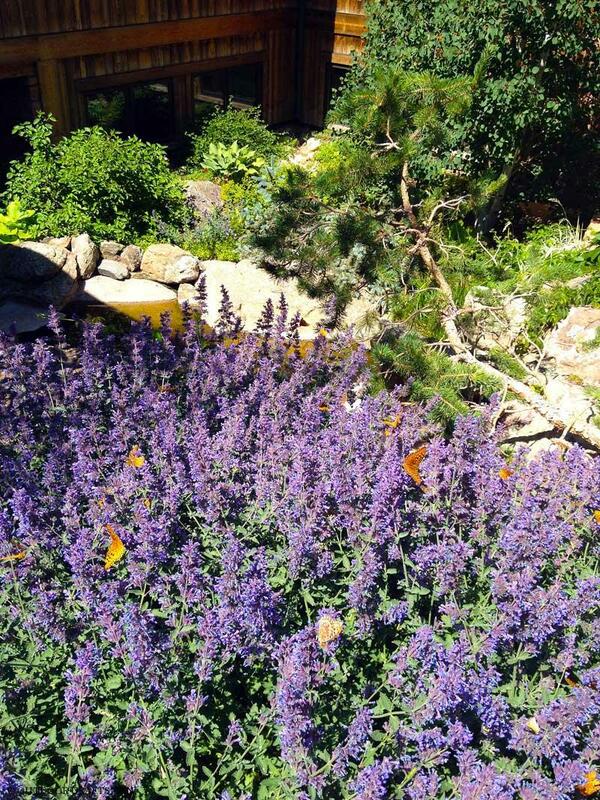 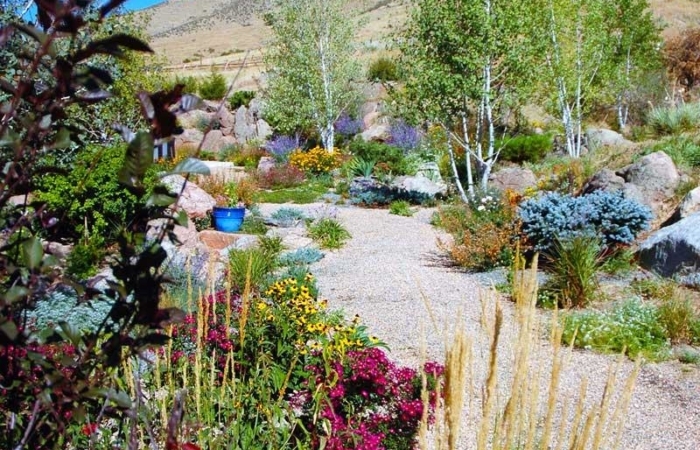 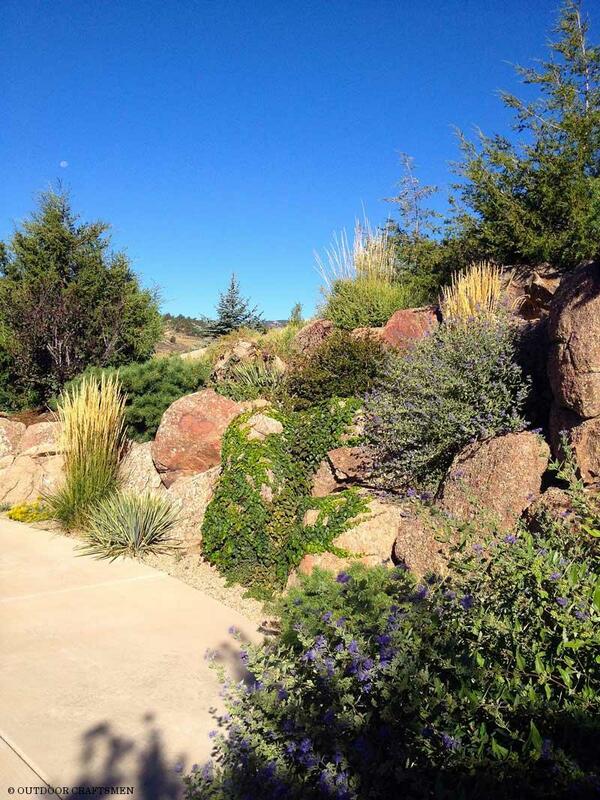 Drought tolerant, hardy, and native trees, shrubs, perennials, and grasses flourish in the various micro-climates that abound in this xeric garden. 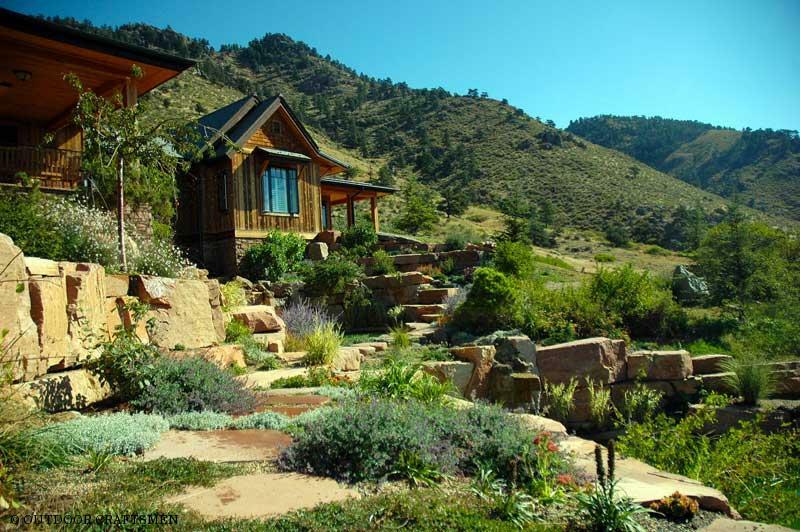 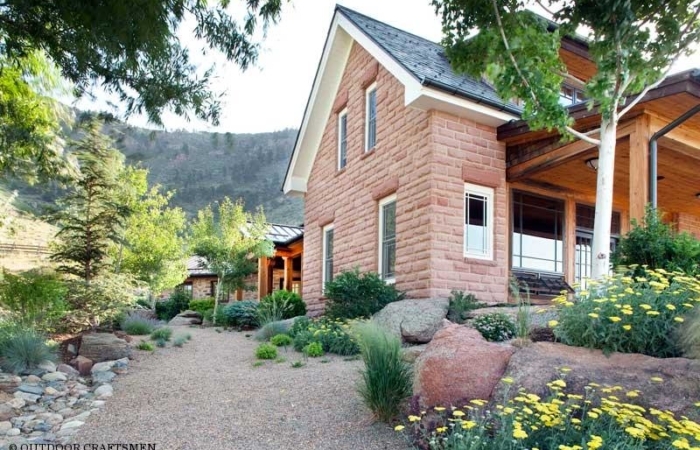 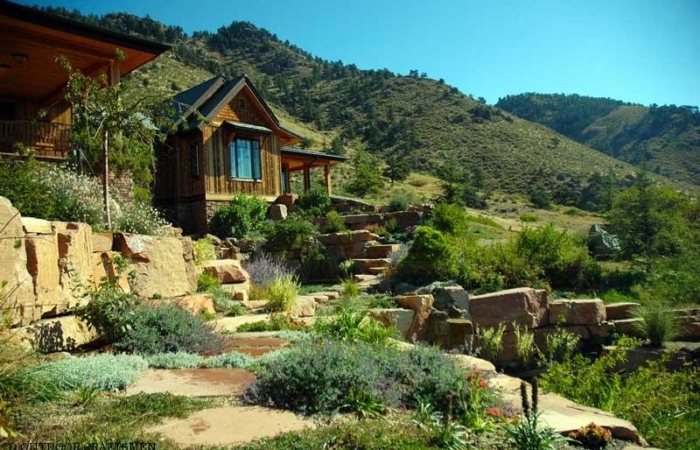 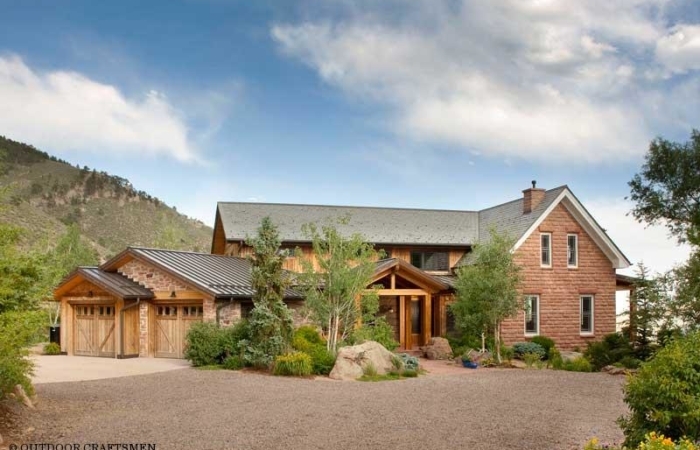 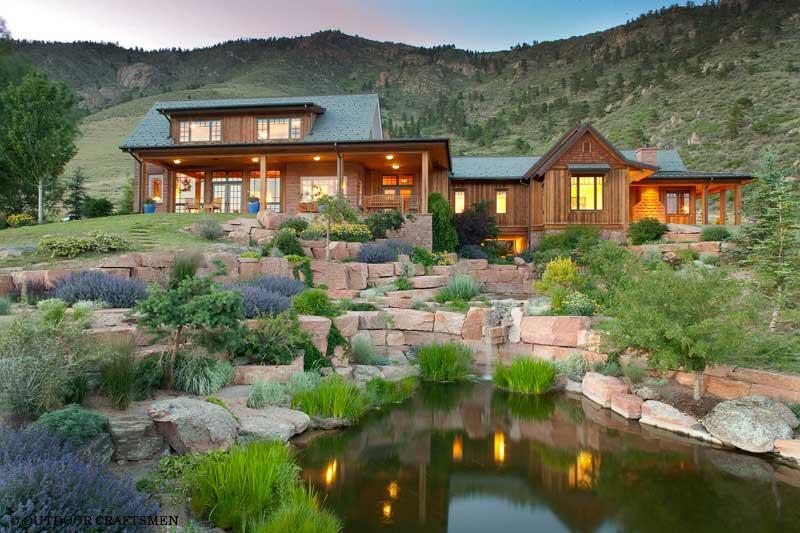 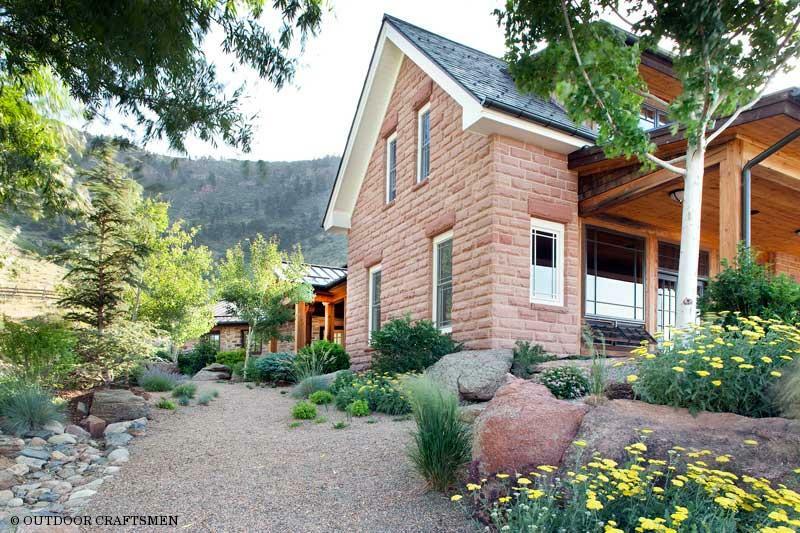 The design of this project fulfilled not only the client's expectation of creating a beautiful mountainside oasis, but also maintained the natural beauty of the property. 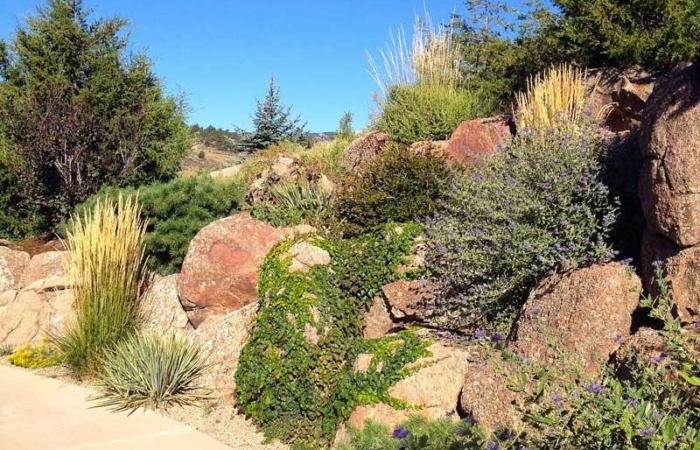 Boulders and stone for the walls and patios were selected and imported from neighboring mountainsides. 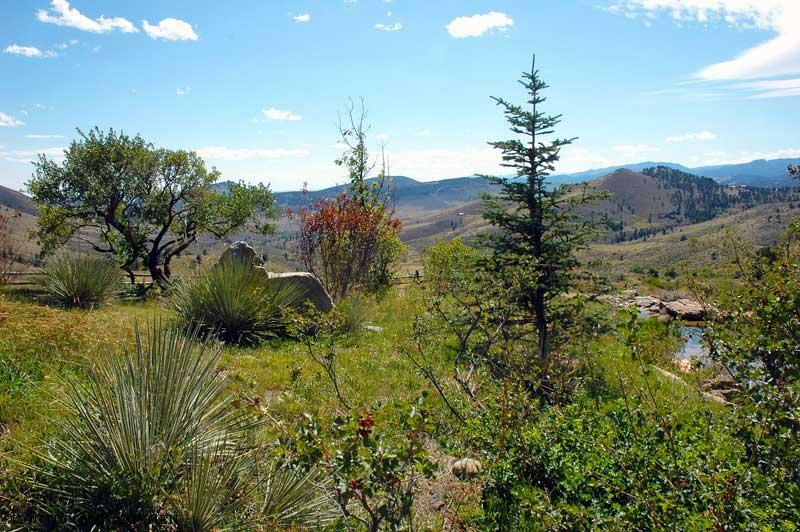 Moss rock boulders were prioritized in areas that are most visible from the living spaces and look as if they have always been there. 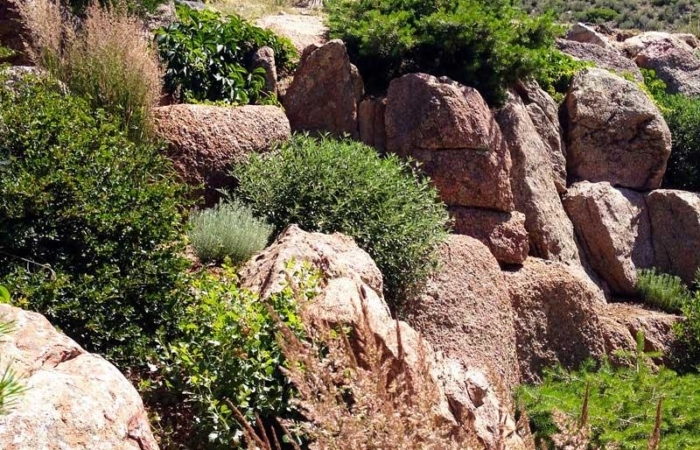 The water systems were intentionally designed to receive and store water from the springs that surface on the mountainside. 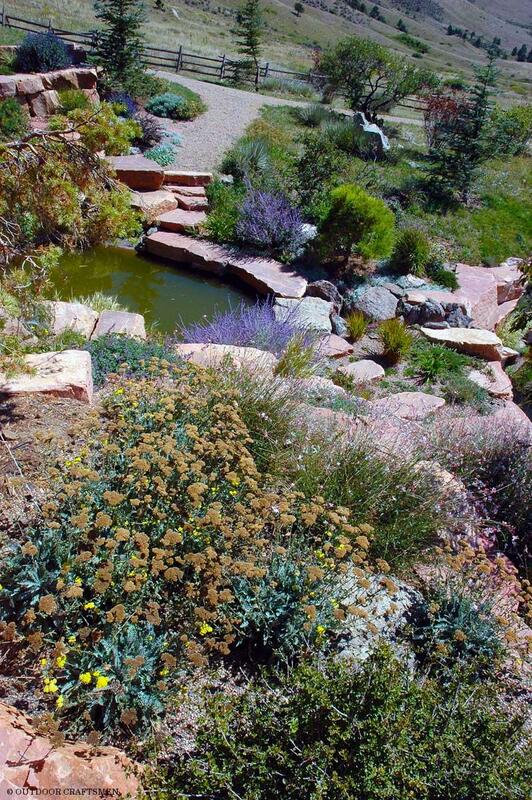 The spring water is used for household use as well as for irrigation and the potential need for fire mitigation.